The picture took no time to go viral on social media and thousands of love-filled comments poured on the superstar's cute son's photo. However, there were others too who abused the child and his father for this post. 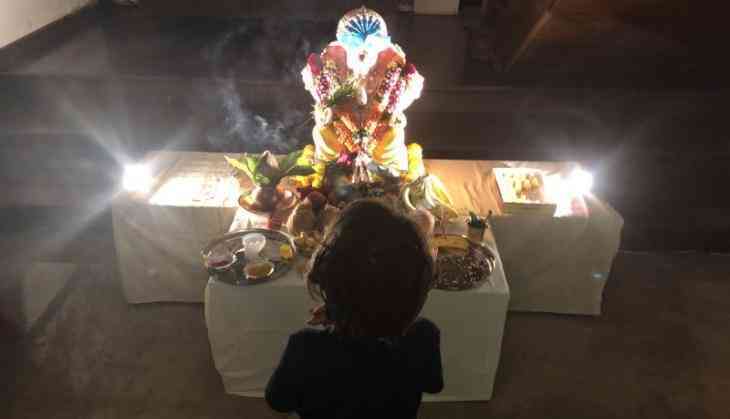 Some so-called religious people can't be able to handle this and targetted AbRam for praying to Hindu god despite being a Muslim boy. Sir me aapka bot bada fan hoon but usse pehle me Muslim hoon sir aap har interview me kehte ho I m proud to be good Muslim holly Quran me kaha gaya hai that respect every religion but Allah Ke saath kisi ko comprare mat karo ye sabse bada gunah hai..
kese muslim ho? Allah ke siwa koi maabud nahi. abi b time he bro sanbhal jao wrna akhirat sbki kareeb he. On the professional front, Shah Rukh Khan has completed the shooting of his film Zero directed by Aanand L Rai. The film also stars Anushka Sharma and Katrina Kaif in the leading roles.